It’s back-to-school time again! Time to shop for those school supplies and of course you want them to be safe from ickies like PVC. Kids are going to be using school supplies and lunch boxes on a daily basis and kids are more greatly affected by toxins than adults. So we want to make sure we are sending them off with items that are safe. So, what should you all avoid this back-to-school season? 1. PVC – polyvinyl chloride. PVC causes cancer, and is notorious for containing lead which can cause irreversible brain damage with too much exposure. Some products are not properly labeled, making it tough to determine whether they contain PVC. If you’re uncertain, e-mail or call the 1-800 number of the manufacturer or retailer and ask what type of plastic their product is made of. You have a right to know. While sadly, some safer school supplies are harder to find, if you keep looking, you should still be able to find PVC free supplies. Here is a pocket guide to help you along and a full list of PVC-free school supplies. Though, for many of these supplies on the full list, you will have to do your shopping online and those sites are noted on CHEJ’s guide, which is certainly more appealing to me than battling the back-to-school crowds in stores. Luckily, I have 1 more year before I need to worry about that. Fleurville backpacks I love the designs! Crocodile Creek lunch box I am not kidding when I saw these are stinkin’ cute and I want one for myself! 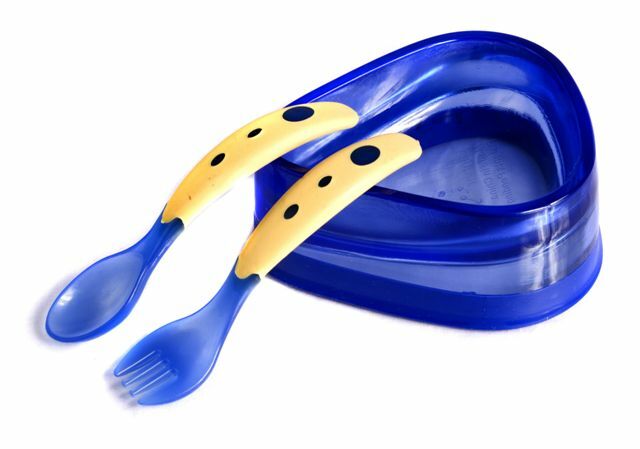 Kids Konserve Waste Free Lunch System for something more sophisticated. Comes complete with 2 stainless steel food containers, a napkin, sandwich wrap, stainless steel water bottle and a nice recycled cotton sack to carry it all in. There is also a nice thermos for sending soups or other warm items and an ice pack for helping keep things cool. Or consult CHEJ’s well researched list with websites of manufacturers and how to buy. 2. BPA – bisphenol A. Common in Polycarbonate (PC) #7 plastic. A hormone disruptor that interferes with the developing breast and prostate in the womb and out, as well as affecting brain development and behavior. Has also in recent studies been linked to cancer, heart disease and diabetes. 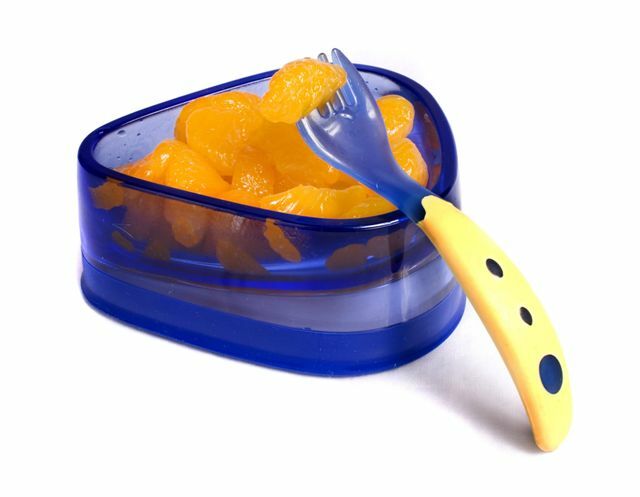 See my BPA-free list here to find BPA-free water bottles, dishes, snack bowls, etc. or shop at The Soft Landing. 3. Polystyrene #6 plastic. Styrene can cause nerve system damage and is listed as a probable human carcinogen (causes cancer). Commonly found in Styrofoam containers, as well as other food containers, cups, cutlery, CD’s, packing peanuts, etc. 4. Alcohol-based hand sanitizer. Kids and alcohol just don’t mix, so opt for something safer such as CleanWell Hand Sanitizer. 5. Triclosan and items labeled with “Microban Technology.” Triclosan is the common ingredient in many antibacterial products, including most liquid hand soaps, and is toxic. Really anything labeled antimicrobial, antibacterial, keeps food fresh longer, and other such claims could contain Triclosan. Avoid it. SafeMama has a good article on Microban and I agree with their stance that it seems unnecessary and because there is not sufficient evidence one way or another, it’s best to steer clear if possible. I make my own foaming hand soap and love it! Does your school make the environmental health grade? Use the CHEJ’s environmental checklist to find out. That should you do if your school list has items on it that you feel strongly against (i.e. alchohol based hand sanitizer like Purell)? Tiffany at Nature Mom’s Blog did a write up last year with a letter she sent to her son’s teacher explaining some of the deviations she provided from the required list. Hope these tips make your back to school year a little healthier! Happy shopping! The first night I used this bowl, I was totally geeking out about it. I LOVED it. My determined-to-self-feed son spilled very little of his dinner on the table thus most of his dinner made it to his mouth – success! Just to be fair, I decided to use the bowl a few more times before writing the review just to be sure it continued to live up to its expectations, and it has! The contoured shape is great. It helps guide food onto the spoon. I was a little worried that my son would get a heaping spoonful and still spill food all over the table, but I think because the bowl only holds 4 ounces, it helps him get the proper amount on the spoon, so spilling is very minimal. And he does not throw this bowl like he does his plates. This bowl should be on every baby registry – a must-have for anyone with a baby or toddler in the house. Mom-invented and I love that! I love the bowl so much that I gave one to a friend for her baby shower. I think this will be my new baby gift staple. Want one?? Enter to win! There are multiple ways to enter. And enter as many ways as you wish, just follow the rules! You can also keep up with the latest news from the Baby Dipper on Facebook (though following does not count as an extra entry). Contest ends at midnight CST, April 12, 2010. Winner will be notified via email and must respond within 2 days. If no response, a new winner will be chosen. Baby Dipper LLC will provide shipping to a winner in the US or Canada. Disclaimers: Previous winners of the Baby Dipper bowl giveaways sponsored by Baby Dipper, LLC are not eligible. I received the bowl from the Baby Dipper LLC, though the views expressed in my review are those of my own experience with the bowl. No other compensation was or will be received. Link between Autism and vinyl floors? Certainly more research is needed, but a Swedish study concluded that an infant/toddler with vinyl flooring in their bedrooms were twice as likely to have autism 5 years later than those with wood or linoleum flooring. For parents who smoked, autism rates were also twice as those who’s parents did not smoke. More research is absolutely needed, but interesting nonetheless. Vinyl can emit phthalates, which are chemicals used to make soft plastic that have also been connected to allergies and asthma. The scientists, lead by Carl-Gustav Bornehag of Karlstad University in Sweden, call the data “far from conclusive” and say further studies with a larger group of children are needed to confirm a link. Should you get the flu shot or just take vitamin D? Have we found the cause of SIDS? Something new: Link Round up! It’s difficult to post even weekly now with 2 kids and working full time, so I decided when I have several interesting topics at once, I will give a smaller summary and post the link to the article. Eco-proof the nursery this is a great little article highlighting common concerns for today’s new parents (or new again). It shows how parents are concerned about the expense of raising a “green” baby and offers tips on how to go free for free or for very little money. One NY County Bans BPA Baby bottles Hats off to them! I hope this catches on, though with manufacturers stopping the production of them and national retailers stopping the sale of them, bottles made with BPA will be hard to come by soon enough. Rubber mulch is not non-toxic and contains metal fragments. And Obama just used it on his girl’s White House playground. Hopefully he will replace it. While it seems like a great idea to turn used tires into mulch for playgrounds and landscapes, it really is not non-toxic or safe for kids or the environment. Plus, rubber is highly flammable and difficult to extinguish once on fire. No more BPA in food and beverage containers! That’s what leaders from the House and Senate are proposing. The bill was introduced Friday and would establish a federal ban on the use of BPA in all food and beverage containers. The move came a day after Sunoco, the gas and chemical company, sent word to investors that it is now refusing to sell bisphenol A, known as BPA, to companies for use in food and water containers for children younger than 3. The company told investors that it cannot be certain of the chemical compound’s safety. Last week, six baby-bottle manufacturers, including Playtex and Gerber, announced that they will stop using BPA in bottles. I am glad one of the big oil companies is taking a stand like this. Very impressive since the sale of BPA is a lucrative market for them. Scientists and environmentalists praised the move as an acknowledgment of the chemical’s danger, but some worried that more needs to be done to study how humans are exposed to the chemical.BPA is found lurking in many places including baby bottles, plastic containers (even some labeled microwave safe), food and beverage containers, eyeglasses, CDs, dental sealants and many other places. “It may represent just the tip of a much larger iceberg,” said Pat Hunt, the professor from Washington State University whose work led to the discovery of the effects of BPA on animals more than 10 years ago. BPA has been linked to behavioral problems, obesity, certain cancers, diabetes, miscarriage, low sperm counts, hyperactivity, heart disease, has been found to interfere with chemotherapy in breast cancer patients, and many other problems. Why the FDA still considers BPA “safe” is beyond me. I mean other than they are in bed with the plastic industry folks. Hey, money talks. But its certainly infuriating as a parent knowing that hundreds of studies, another Federal Health agency and now even a BPA manufacturer all find there is enough evidence that this stuff does cause harm even in small amounts. There are ways to avoid BPA in food and beverages. We do not use canned foods/beverages in our house, and I do not miss it or find it any harder to make dinner. I get fresh or frozen fruits and vegetables. For soup, we make our own from scratch –it’s healthier and it tastes much better. If I really need canned something, which is usually just beans for taco night, I use Eden Organics whose cans are not lined with BPA (except tomatoes, which are too acidic). Even chicken and beef stock can be bought in a boxed form allowing you to avoid cans. Cream of whatever soups are the only other thing I use and I know there are recipes out there to make your own. For beverages, go for glass bottles (though the tops may be lined with BPA), or plastic (which is a whole other concern. We just gave up soft drinks all together a few years ago – there is no nutritional benefit to drinking it, it’s full of bad stuff and its not cheap. See my lists of BPA free items for children and some for mom too. BPA investigation: To read the Journal Sentinel’s ongoing investigation “Chemical Fallout,” go to www jsonline.com/chemicalfallout. JSOnAir Meg Kissinger on BPA To see Meg Kissinger talk about the national attention the Journal Sentinel is getting for its research into bisphenol A, go to jsonline.com/jsonair. It was bound to happen sooner than later – the six main baby bottle manufacturers have decided to stop selling polycarbonate baby bottles containing BPA in the US. HOORAY! The six manufacturers Avent, Dr. Browns, Evenflo, The First Years, Gerber and Playtex all already have BPA free bottles. It really is a no brainer move since large retailers including Target, Wal-Mart and Babies R Us vowed to stop selling baby bottles containing BPA at the end of 2008, and Canada banned the sale of polycarbonate baby bottles last year. So if there is no market or sales channel, then why bother? Either way, this is to be applauded. But sadly, these bottles will continue to be sold outside North America. This is a great first step; however, there is still work to be done on this issue. BPA still lines the insides of canned foods, soft drink cans, lids of many jarred foods, dental sealants, etc. And of course the FDA still is trying to convince us BPA is safe even though 130 studies have linked BPA exposure to behavior problems, breast cancer, obesity, diabetes and several other disorders. See how to avoid BPA.